Our aim is to develop a range of ready-to-run locomotives and rolling stock for 009 scale railway modellers. We appreciate that modelling the narrow gauge is different from modelling standard gauge. There were very few standard locomotives in narrow gauge operation. Each railway tended to have its own customised fleet of engines, suited to its gradients and train lengths. We design and produce models of both prototype and freelance appearance. Our freelance locomotives are designed to be realistic of the style of the well established locomotive builders. 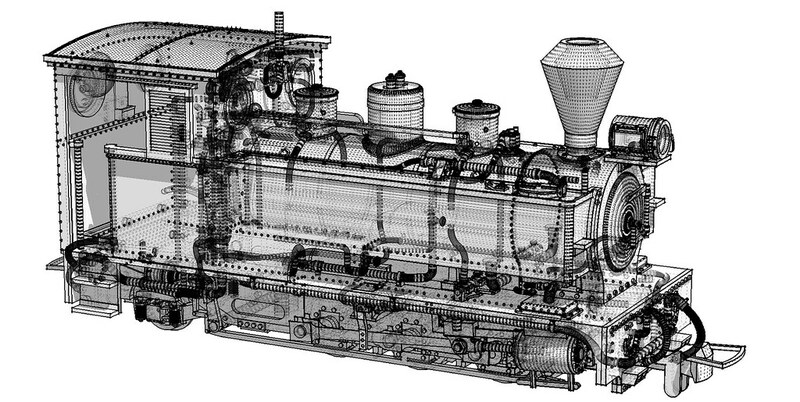 We apply extensive knowledge of how locomotives are engineered to ensure that our freelance models are true to the form that they would have taken if actually built. We apply advanced 3D graphic design to ensure that prototype models capture the exact character of the prototype locomotive. All those fine details, curves and critical dimensions that are required for the model to look just like the real thing. 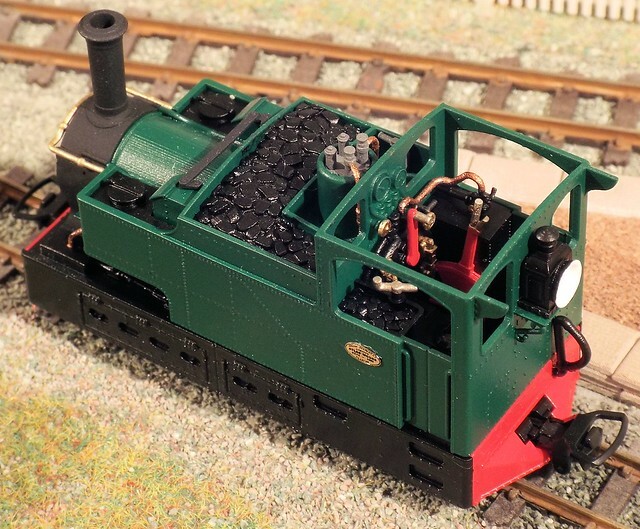 All the models are fitted onto commercially available N gauge chassis, to guarantee a smooth operation. These are models we hope you will enjoy operating. In fact, in the perspective of the larger 009 scale, the running is better than the original N scale model. We carry out a thorough test on every chassis to ensure that added parts do not hinder the smooth operation. 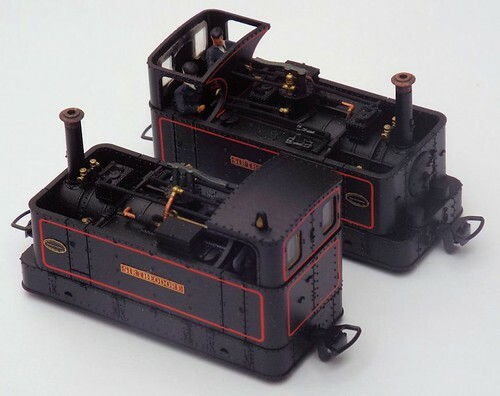 Each model is hand painted to depict details such as copper chimney caps and safety valves. We are continually developing the body production techniques to achieve an improved finish, more detail and increased robustness with each new model. All our models have fully detailed cabs with accurately positioned controls. Whilst there has been a newfound interest in ready-to-run 009 products, we aim to produce prototypes that would not necessarily lend themselves to mass production. Our short-run batches enable us to offer more prototypes, in more variations, than would otherwise be possible. Our catologue includes six variants of the Glyn Valley Tramway locomotives, each with the unique features carried by the prototype at the time.